The action of forgiveness engenders a communicative ease among the entire staff, and the joy we feel is literally contagious. 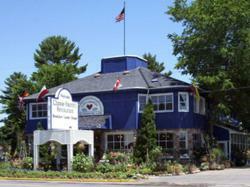 The über-popular Wisconsin Dells vegetarian eating house, the Cheese Factory Restaurant, is renovating its famous Starlight Ballroom to host special events in celebration of International Forgiveness Week and Weekend of Perfect Peace from September 14 through September 23, 2012. As a run-up to the celebrations, starting this Spring, restaurant patrons and general members of the community will be able to attend Peace Mosaic workshops in the “Bridge” and “Starlight Ballroom” “upstairs at the Cheese Factory”, where art supplies will be available to anyone who wants to contribute a tile to the spectacular World Peace Mosaic. Chef Ricky will be rolling out a forgiveness- and peace-themed special menu for the ten days of International Forgiveness Week and Weekend of Perfect Peace. He insists, however, that one need not wait till September to enjoy the benefits of forgiveness. “It is available right here and now,” he concludes. For more information about the Cheese Factory Restaurant visit http://www.cheesefactoryrestaurant.com.